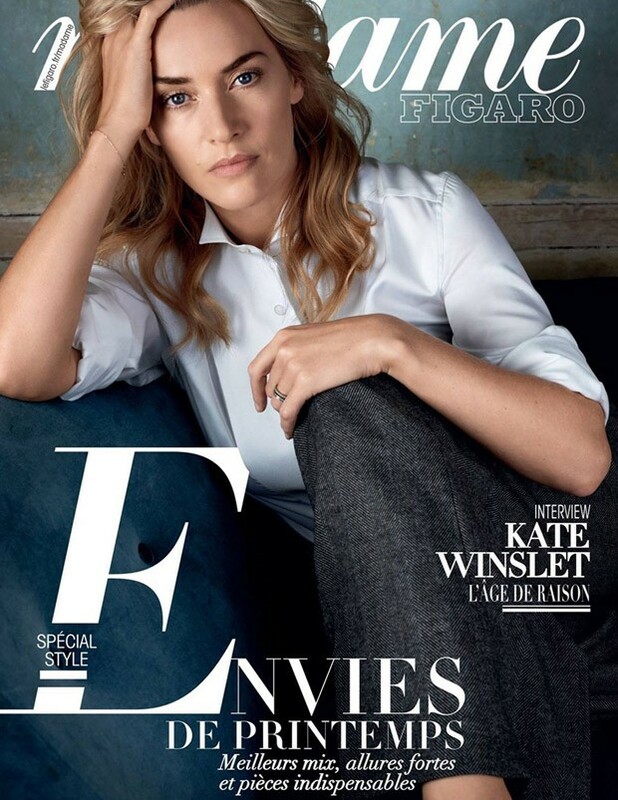 A-list British actress Kate Winslet is featured as the cover star of Madame Figaro's latest issue. The Academy Award nominee for Best Supporting Actress for 'Steve Jobs', is lensed by the noted Alexi Lubomirski, and goes casual for the cover in a pair of tailored trousers and a white shirt. Kate, whom we saw in plunging and figure hugging outfit at the SAG Awards 2016, is beautiful and minimalistic for the shoot, in a mix of formal and casual sophisticated ensembles.